With Forza Horizon, developer Turn 10 Studios took a leap of faith. By taking the incredibly popular simulation series, putting it on the open roadways of Colorado and switching from realistic gameplay to a more arcade-inspired take on racing, the company showed off its adventurous side. However, as with any risk, this venture released to uncertainty, amidst questions relating to its appeal. Unfortunately, the answers, which have predominantly come in sales form, haven’t been incredibly positive despite the game’s high review scores. It’s a shame, considering the spin-off’s high level of quality, but that’s the reality of this business. Hopefully things will improve soon, though, because this isn’t an experience that deserves to be left in the dust. 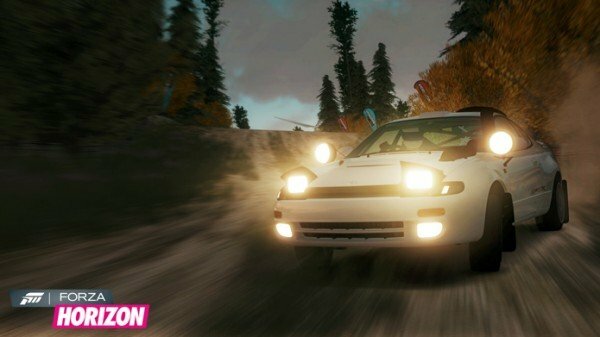 Continuing with the aforementioned leap of faith and all that it entails, the developer has just released a brand new Rally Expansion Pack for its high-speed spin-off. 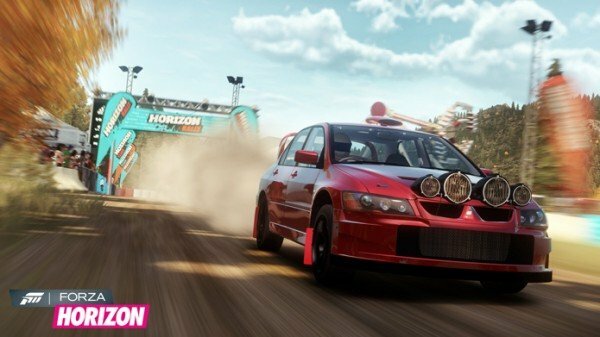 As the first piece of major downloadable content for Forza Horizon, hopes are high that the add-on will bring in another group of genre fans: those who thrive on the dangerous sport of rally racing, where wrong turns are dangerous and only the best are successful. Of course, given the game’s backroads nature, this feels like a natural path for things to follow, and it gives Colorado’s digitally-crafted dirt backroads an opportunity to enter the spotlight. By purchasing the Rally Expansion Pack, Forza Horizon fans will be presented with another vehicular championship to compete in. Made up of seven four-part rallies spread throughout the core game world, it offers approximately two hours’ worth of content, if not a bit more. However, although the included gameplay is quite enjoyable, it doesn’t stand out as much as it should. That’s because there’s a lack of noticeable differences to be found within the gameplay, meaning that all of the time-based races feel far too similar to what is found in the Horizon Festival. Sure, you’re almost always burning rubber on dirt instead of pavement, but there should have been more done to enhance the experience through mechanical alterations. For example, more could have been done to make the five brand new vehicles drift better, because they’re lacking in that department and the gameplay suffers from that fact. 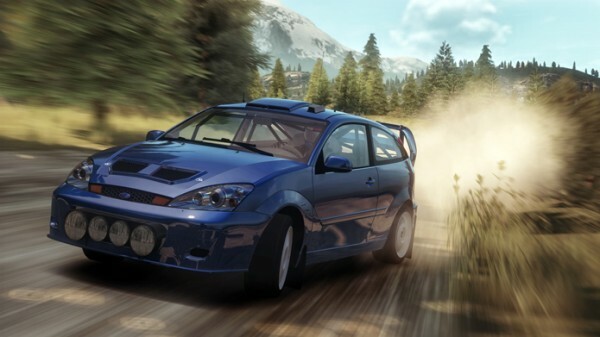 In comparison to Codemasters’ DiRT franchise, which has been the go-to rally series throughout this console generation, Horizon‘s attempt is noticeably inferior. While that’s unsurprising, given that Turn 10 Studios has taken to trying different things these days, it’s tough to overlook the difference in quality. That’s because, while the DiRT games can now be purchased at a fraction of their previous retail prices, this Rally Expansion Pack carries an off-putting twenty-dollar price tag. In relation to what the download file offers, that admission price is incredibly tough to understand, even though the noted rally race stages are added to the game’s online arena. As a result, it’s more of a rip-off than a value-filled investment. Although this review has taken a negative route, I want to make it clear that I do not dislike this particular expansion. Yes, it is incredibly overpriced and relatively short, not to mention of lower quality than its competitors. However, the included gameplay is still enjoyable. Of course, with that being said, my relatively high expectations were not met. Even though I thoroughly enjoyed the main game, this left me wanting more, and had me questioning how my easy difficulty competitors were able to jump ahead of me by such large margins during sections that I traversed well. Thankfully, those questionable position changes only occurred occasionally. On top of the above-mentioned cons, it must be said that the game’s pulse-pounding soundtrack actually takes away from these rallies. Why is that? It’s all to do with volume. You see, the songs are all quite loud and the radio is turned on by default. Normally, that isn’t a problem, but it’s important to listen to your co-driver’s instructions if you hope to be successful in this secondary championship. His dialogue is surprisingly low, and the same is true of the Horizon Festival’s organizers’ lines. In fact, when I ended up loading the campaign after becoming a rally champion, the difference in volume was substantial. As such, I felt the need to mention it, especially since having to turn down the radio at the start of each new rally was so distracting. Having to do so made every first attempt a write-off. Despite being relatively enjoyable, this slightly above-average download is destined to frustrate. That’s because the Forza Horizon: Rally Expansion Pack is held back by its ludicrous 1600 Microsoft Point price tag. There’s absolutely no way to justify that asking price for only two hours’ worth of unremarkable single player content and a couple of new multiplayer modes. As such, those who feel the need to make this purchase should wait for it to go on sale.